Potentially still the most relevant aspect of the Medjugorje issue remains the final opinion of both the Yugoslav officials and local priests in the late 1980s; that the verisimilitude of the Marian miracles was a ‘matter of personal belief,’ and not something that could be definitively decided. For precisely the same earthly economic interests as prevailed in 1980’s Yugoslavia, we expect the Vatican to reach a similarly vague answer when it releases its final report on the matter. The continuous controversy of the site, and its existential value to the remaining Croat minority in Bosnia, meant that the Vatican had to speak out definitively on the enigma. And indeed, a litany of additional claimed miracles, charlatans and public satire has over the years has adversely affected public perception of the Church and the site itself. In 2005, Cardinal Bertone, who led the committee created by Pope John Paul II on Medjugorje, said that ‘nothing was certain’ about the case yet, according to Corriere della Sera. This is essentially where the situation remained, as of January 2015. In Italian society, opinions regarding the Bosnian pilgrimage site have been ambivalent at best. Generally, the ‘miracles of Medjugorje’ are kept alive on television programs and other media by a handful of dedicated journalists, and some local priests in provincial areas. However, most Italian churchmen tend to take a more dubious view. Local figures of influence are aware, as Cardinal Puljić noted – way back in 2004 – that “the reported apparitions of Medjugorje have become a source of division in the Church,” reported one Catholic website. Six years later, an official investigative commission was formed, and Cardinal Puljić was naturally selected to serve on it. The Committee worked through 2013 and, in January 2014, the Bosnian cardinal announced that Pope Francis had received the report, and would rule on Medjugorje by the end of the year. However, as of January 2015, the world was still waiting for the Vatican’s verdict. 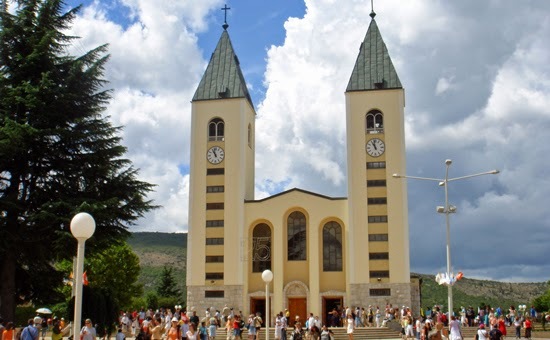 Nevertheless, the financial and cultural value of Medjugorje to the Croats of Bosnia in particular, and to the Church’s ‘pilgrimage map’ in the Balkans in general, make it highly unlikely that the Vatican report will categorically denounce the happenings at Medjugorje as a fraud or delusion. What we are likely to see is a measured and moderate report that leaves the door open for independent belief, while refraining from making a definitive judgment. This is what is known as a diplomatic solution. Cardinal Puljić’s summary of the Vatican view is probably a good indicator of the kind of guarded language we should expect to see in the pope’s anticipated verdict. “The Commission is not opposed to Medjugorje as a place of faith where faithful pilgrims gather,” Cardinal Puljić stated. 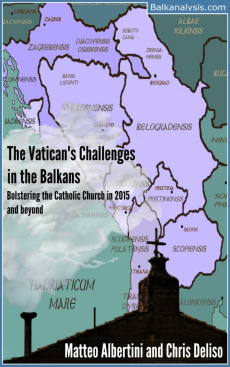 This excerpt was taken from from The Vatican's Challenges in the Balkans by Matteo Albertini and Chris Deliso. Used by permission. Visit www.balkanalysis.com/vatican for more information. Sounds to me like people preparing for a basically positive outcome for Medjugorje by preemptively chalking it up to diplomatic cowardice by the Vatican. If only Catholics had more joy at Mary appearing (discerning joy, of course, submissive to the Church), instead of knee-jerk negative reactions against her apparitions. But alas, all of her apparitions (Fatima, Lourdes, La Salette, etc.) have been reacted to as such by many Catholics before they were approved. Quite right. Medjugorje is a wonderful place of prayer and peace. Leave it at that and let the fruits manifest the Spirit of God. I wish to say something further about Medjugorje. It is, by far, the biggest fraud put on for pious people in our times. Many have been in such a rush to promote it that they have not heeded the Church’s teachings. Unless he had permission to publish the Latin text of NC, Tornielli’s apparent disobedience to Church authority is only one demonstration of Medjugorje’s real “fruits,” in addition to the many lies, slanders and deceits it has perpetrated. I call upon Tornielli to explain himself and in the meantime, it is my sincere hope that this matter will be a talking point for the Vatican’s commission of inquiry into the Medjugorje phenomenon. It is understandable that the Vaticanis looking for a diplomatic solution to the Medjugorje issue but this desire to basically say nothing is a serious cause of scandal. This issue has dragged on for much too long. It is obviously that there has been too much "bad fruit" for this to be accepted by the Church. While the Church doesn't want to upset people by a negative reply, it has clearly come to a negative decision. If not,it would not be necessary to look for a "diplomatic solution. By not taking a stand the Church looks like it is part of the scam. Sooner or later it will all fall apart and people will be angry that the Church tried to play both sides. Every time that the Church has tried this approach in history, it has ended up looking bad. Doesn't anyonehave any sense of integrity? Have we not learned from history the scandal of not speakiing clearly? On the contrary, the lack of response may easily be the result of a basically positive report. If the Church were to approve it before the appearances ended, and one of the seers then said something contradicting the faith, great harm could be done to the Church. If they had condemned it they wouldn't have to wait, as they obviously are doing. I think your analysis is quite correct. As far as I know, the Church has never approved an apparition where the visionaries were continuing to make statements. To claim that the Church will base Her decision on politics is utter nonsense. If the Church believes the Medugorje is a fraud, she will condemn it for the good of the Church. "by far, the biggest fraud put on for pious people in our times." I leave that for the Church to decide. But, until then, hundreds of bishops and cardinals, thousands of priests believe that it is from Our Lady. Are they all just a bunch of pius people. Or do we write them all off as emotional liberals? Sorry, that doesn't work. Many of them are very faithful and traditional clerics. Doesn’t authenticity of an apparition rely on the occurrence of strict obedience by seers to local bishop and living saintly lives of humility, poverty, etc… similar to Bernadette Soubirous, Lucia Santos, and Juan Diego? I’m alarmed by stories of disobedience to local bishop and the seers living rather lavish lives of abundant material wealth. What’s wrong here?